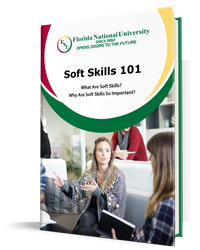 An exciting week at Florida National University is coming to a close and we’d be remiss if we didn’t recap the action for you. Simply put, it wasn’t “business as usual.” While midterm exams are taking place in the classrooms, political, social and community events dominated the headlines outside of them. 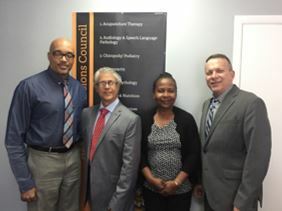 To begin the week, it was officially announced that FNU received provisional approval from the Health Professions Council of the Bahamas for three programs: Respiratory Therapy Associate (AS) and Bachelor of Science (BS), and Diagnostic Medical Sonographer Technology Associate (DMS/AS). This marked a huge accomplishment for the University’s International efforts. 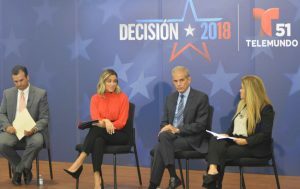 The middle of the week took on a political approach as two major events took place throughout the day, both in collaboration with Telemundo51. 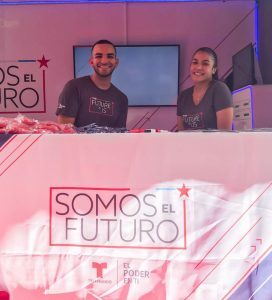 From 10AM to 6PM, as part of Telemundo’s “Somos El Futuro” initiative, members of UnidosUS were on campus getting our community registered to vote! In the evening, FNU hosted a Town Hall Forum on Transportation and Traffic broadcasted live on Telemundo51! The event drew a large crowd of active community members and local politicians, all with the mindset of enhancement. 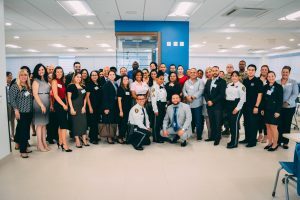 The Forum took place at the auditorium within the Dr. Jose Regueiro Building. After long anticipation, FNU hosted our biannual Career Fair which hosted over 40+ employers from multiple different concentrations. Multiple job seekers were given the opportunity to partake in on-the-spot interviews and networking.